This Special package offers a fabulous blend of ocean fresh seafood & classic entreés. 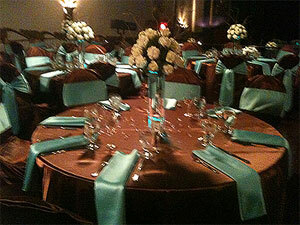 These specials include China, Silverware, Linen Napkins, Table Linens, Catering Service Staff and more. 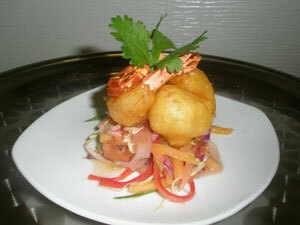 Our Menus are always flexible, so call us with your Custom requests. Fresh Ceviche Shooter with Tortilla Crisp in Shot Glass – A House Specialty! Sliced Marinated Tri-Tip with Peppercorn Sauce, Chipotle Sauce or our special Honey Ginger! Choose One Fresh Pasta Dish – Can serve as Entrée for Vegetarians & Side Dish for Everyone! Butternut Squash Ravioli with Sage, Fresh Romano, White Wine & Garlic – Light & Fabulous! $67 Per Person includes China, Silverware, Water Glass, Linens & Catering Staff! Service Charge & Sales Tax Apply. Above pricing is per person and includes buffet set-up, china, linen & full service.